The "Letters from Home Club"
Tickets sold for twenty-five cents and fifty cents. 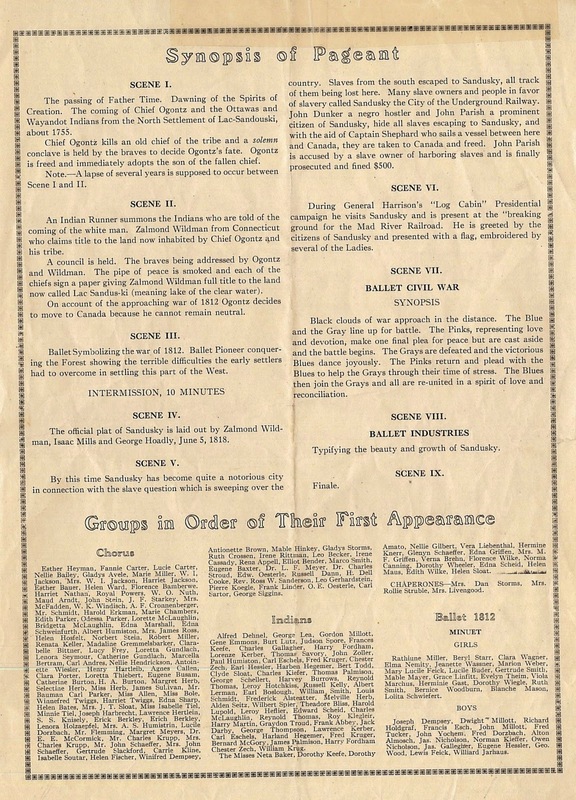 There were six different committees that worked on the organization of the pageant. 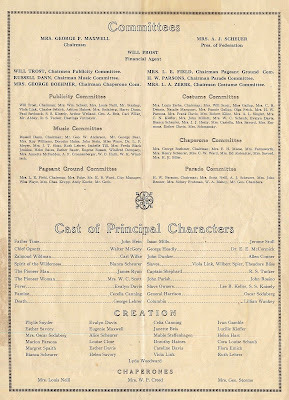 Besides the cast of principal characters, over one thousand young people took part in the pageant. Several scenes portrayed various times throughout history, beginning with creation. 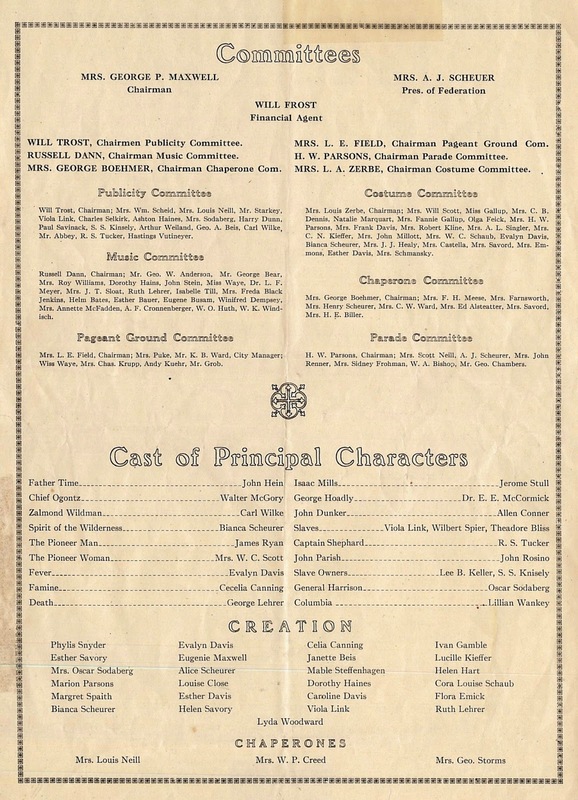 “Father Time” was the first character to appear in the pageant. The first scenes included Native Americans, the War of 1812, and the laying out of the plat of Sandusky. Next were scenes that portrayed the Underground Railroad and the visit of General Harrison to Sandusky. Two ballets were performed with the themes of Civil War and Industries. The various industries represented were paper, quarries, fisheries, farming, wine and the crayon industry. 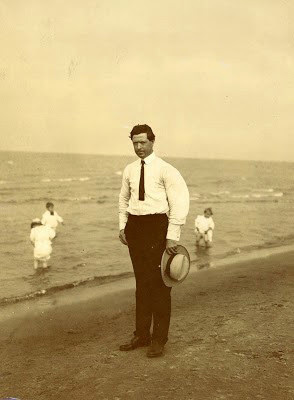 Throughout the Pageant of Sandusky, James Ryan (pictured below at Cedar Point) played the role of the Pioneer Man, while the Pioneer Woman was played by Mrs. W.C. Scott. 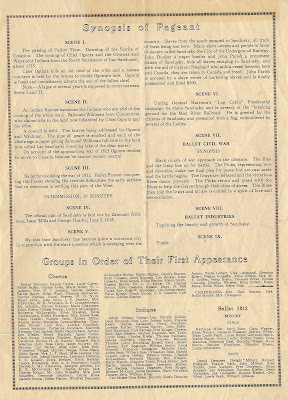 The grand finale of the pageant included hundreds of youngsters dressed in red, white and blue, as the “Goddess of Liberty,” portrayed by Miss Lillian Wahnke made an entrance on a chariot, while holding the United States flag. An article in the July 27, 1916 issue of the Sandusky Star Journal reported that the grand finale was beautiful and dramatic. 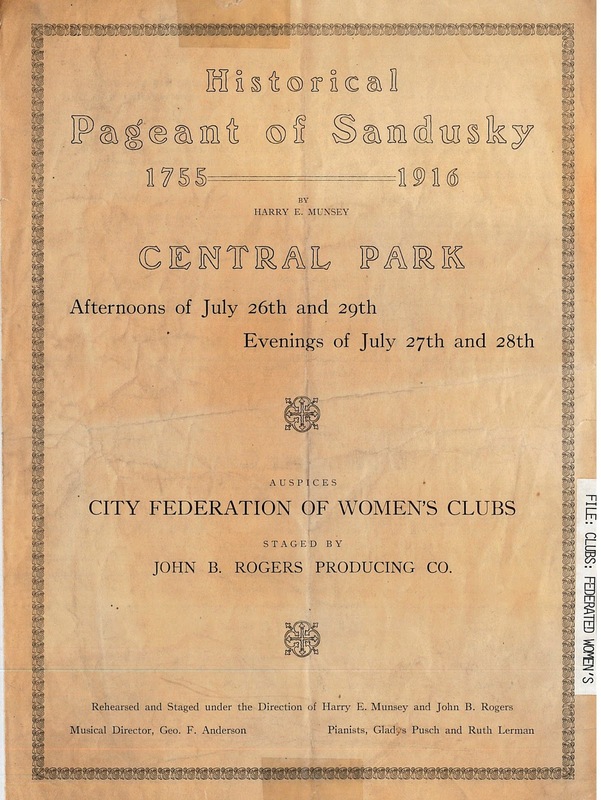 In August, several reels of film of the Pageant of Sandusky were shown at the Schade Theatre in downtown Sandusky. To our knowledge, these films were not preserved locally. How interesting it would be to see the filmed version of the Pageant of Sandusky from over one hundred years ago.